Not all terrarium conditions allow live plants to grow or thrive. Some areas are too hot or too dry for live plants whereas others might require different light requirements, or simply can be eaten by the reptiles. Exo Terra's artificial plants are as lifelike as possible compared with their natural counterparts and are easier to maintain. These plants offer the same advantages as live plants; decorative, creating hiding spots, increase the dwelling area, etc. A combination of live plants and the Exo Terra's artificial plants allows you to fully plant a terrarium, even in the hottest or driest parts. Ideal for use in more 'sterile' set-ups (e.g. quarantine terrariums) or used in those spots of the terrarium where real plants cannot thrive or survive. 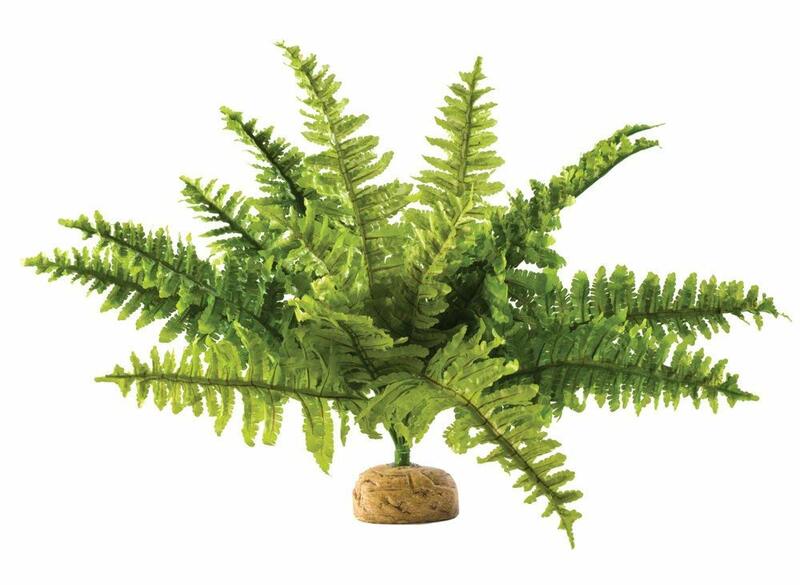 There are currently no questions for Exo Terra Rainforest Plant Boston Fern - be the first to ask one!